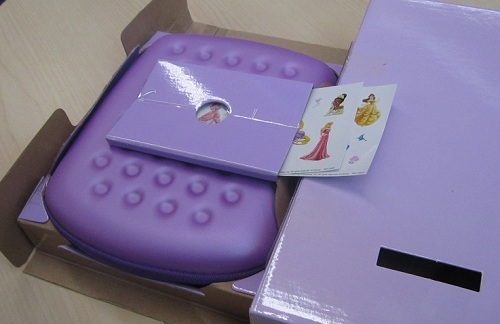 The 2 sheets of stickers included with the LeapPad2 Disney Princess Bundle have been packaged behind the carrying case, encased in purple cardboard. 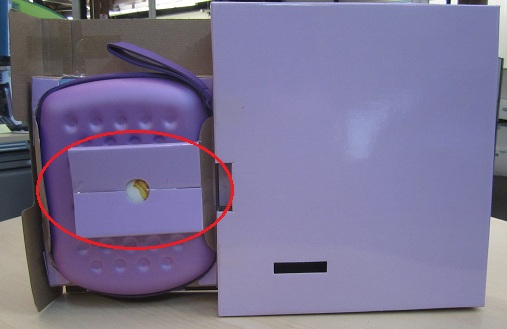 Please see the steps below illustrating how to locate the stickers within the packaging. 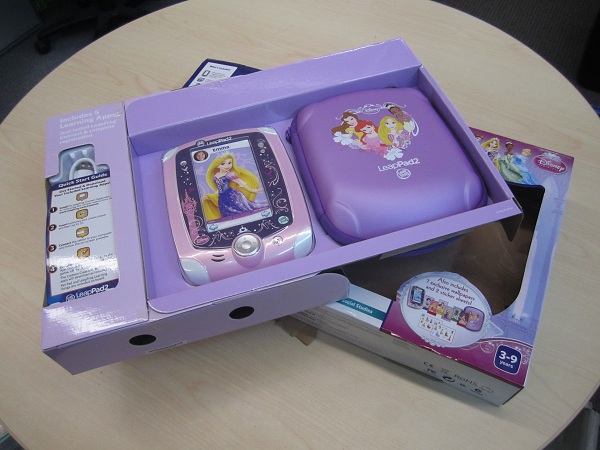 Step 2: Turn them around to locate where the stickers are behind the carrying case. Step 3: Slide stickers out from their cardboard casing.